FF replacement is still the best Ferrari for everyday use. 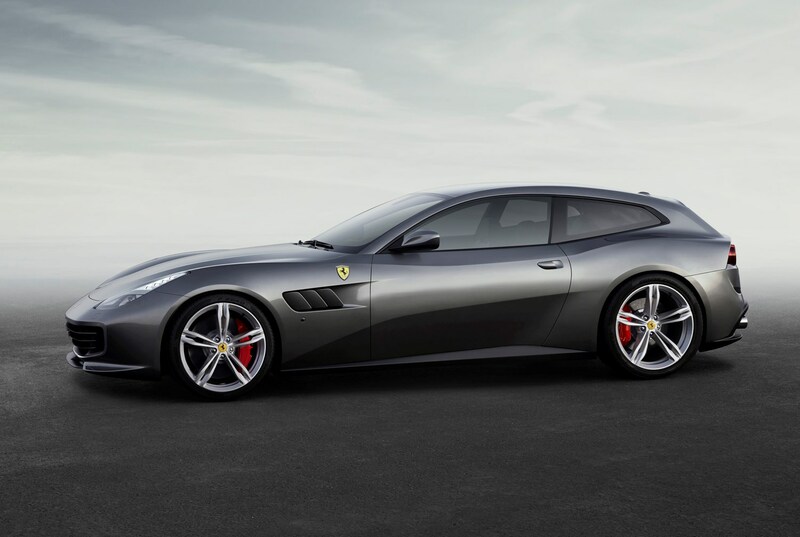 If you’re looking for a big, powerful, two-door, four-seat grand tourer that you can take almost anywhere, there are few cars quite as capable as the Ferrari GTC4Lusso at any price. Think of it as an ultra-premium rival to the Bentley Continental GT, Nissan GT-R or BMW M6 Coupe – cars that offer huge performance and room to carry a quartet. 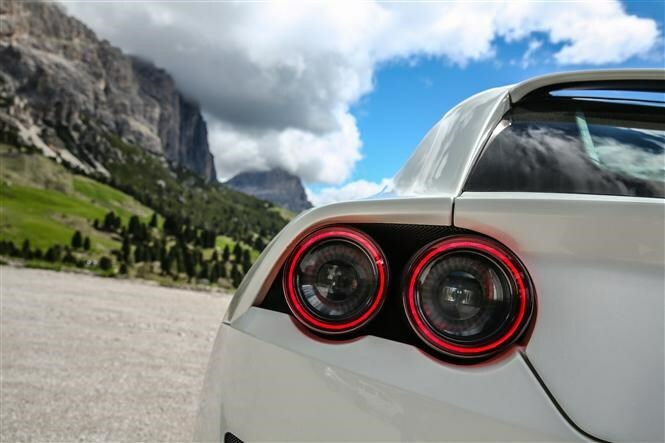 Fans of the Italian supercar manufacturer might be wondering why this car exists when we’ve already got the FF coupe to do exactly this job, and they’d be right: this is an updated version of that car. 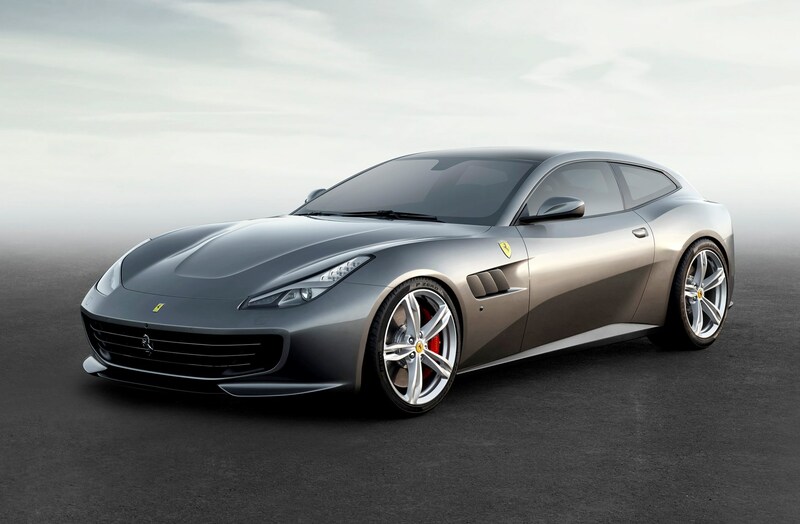 Ferrari has simply cobblef together a number of names from cars of its illustrious heritage instead of calling it FF2 or something equally as intuitive. 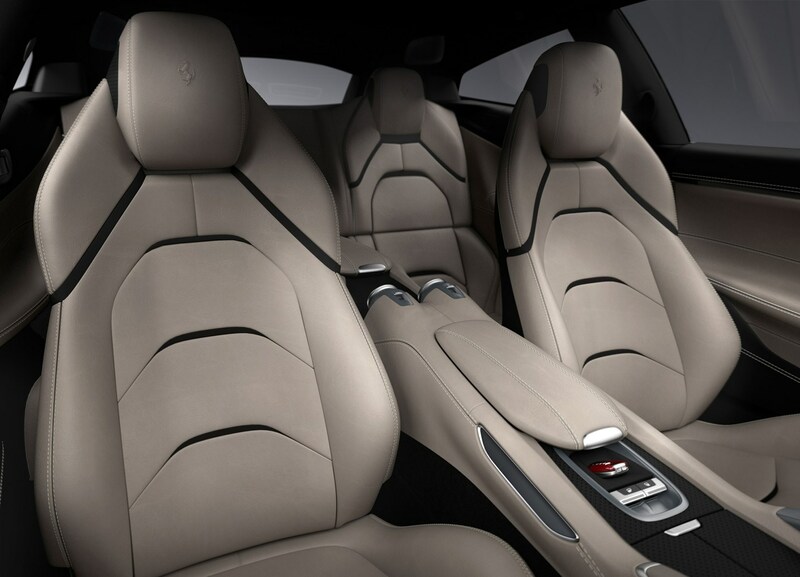 This is more than a facelift. 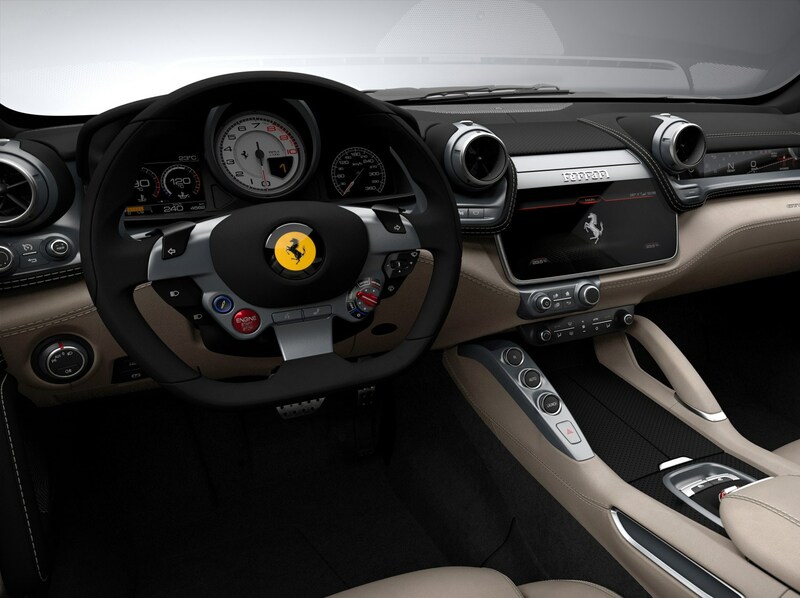 It’s a fairly comprehensive rehash of the four-seater Ferrari concept, with more tech and a total redesign of the outside, with a more balanced profile to reflect the new rear-wheel steering system’s introduction along with improved aerodynamics. 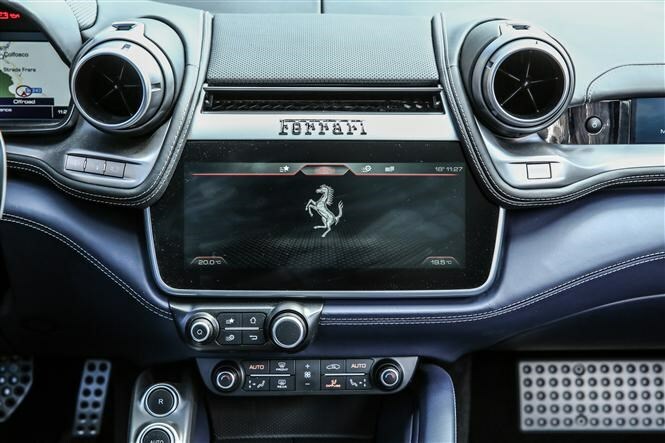 Inside hasn’t escaped the designers’ scalpel either, with an all-new 10.25-inch touchscreen multimedia and sat-nav system taking pride of place in the central console. This features quicker processing and more memory than ever and seems to work well, but still has no wi-fi hotspot like many rival firms’ attempts. 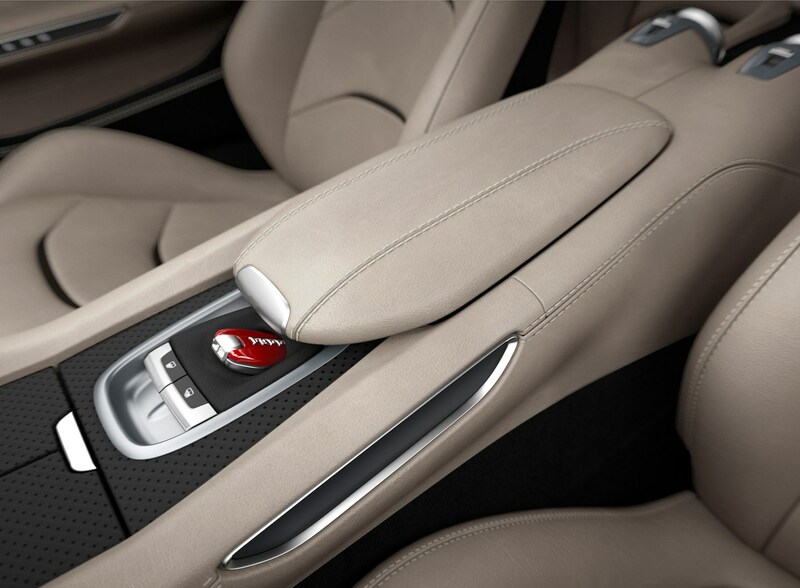 As with the FF, the cabin is meant to make all occupants feel a part of the experience, with prominent air vents aimed at each of the four seating positions to accentuate this effect. The front passenger also gets an optional touchscreen to display information such as navigation details, media info or even a G-force meter so they can see exactly how much cornering enthusiasm the driver has subjected them to. 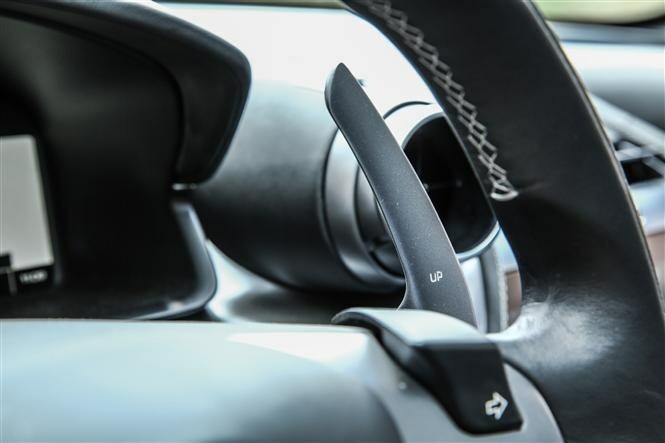 Another familiar feature is the kidney bean-shaped Manettino switch on the steering wheel, allowing the driver to flick easily between driving modes including Snow, Wet, Comfort, Sport and ESC Off. 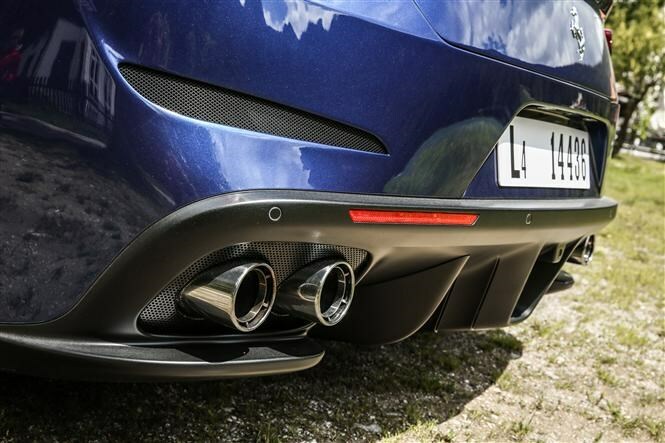 These affect the character of the car’s chassis and powertrain, offering hard-edged performance or a softer, more compliant nature to suit the driving you’re doing. 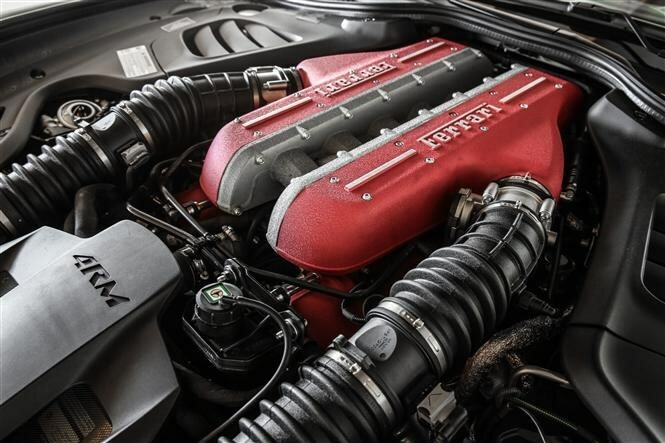 The engine – still a 6.3-litre 12-cylinder derived from the now-legendary Enzo hypercar's – is the biggest Ferrari has got and has been tuned to develop a massive 690hp and maximum torque of 697Nm. 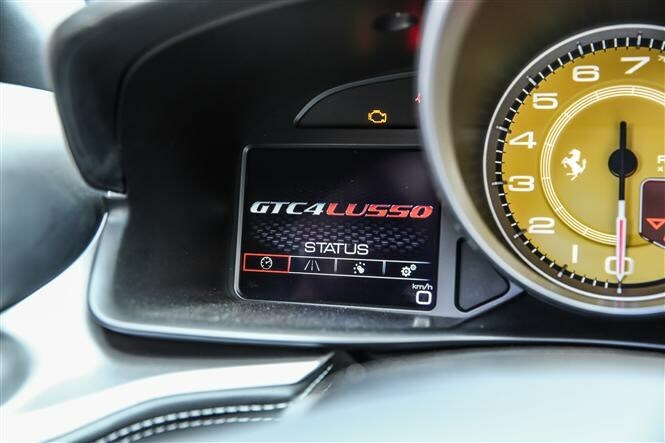 It’s a ferocious thing, with linear power delivery building to a howling 8,250rpm redline before the seven-speed twin-clutch gearbox has to fire in another ratio. 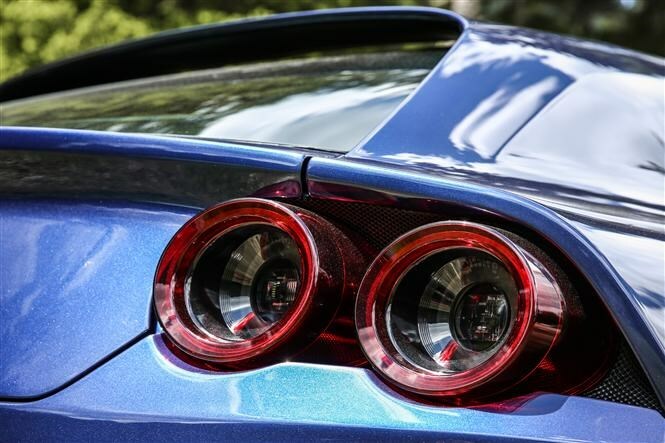 This is one seriously quick car: its 0-62mph time drops from 3.7 to 3.4 seconds, with top speed unchanged at 208mph. 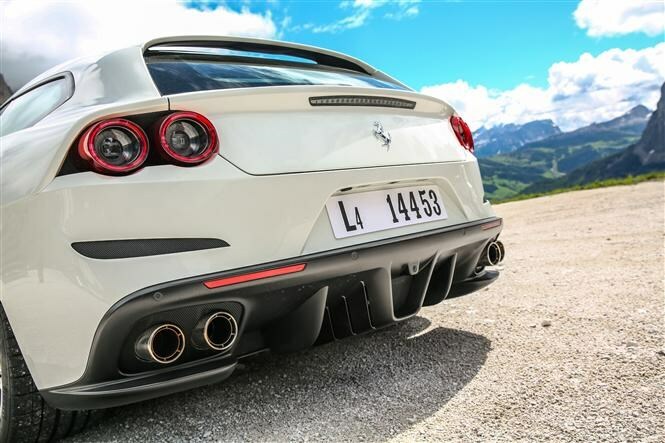 Ferrari has done a lot of work making the GTC4Lusso sound better too, though, with lower-speed noise in the spotlight in particular, and that’s actually where this car is at its best. 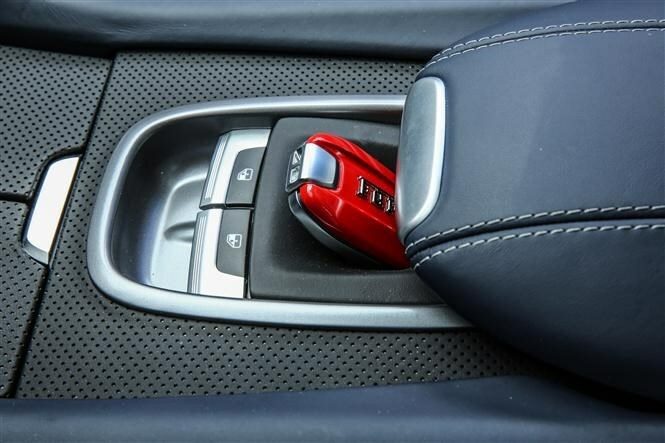 Driven at normal speeds with the gearbox doing the work for you it’s sublime. You can change gears yourself too using the paddles mounted on the steering column (unusually, because they’re often on the wheel itself), but we found the ‘box second-guessing us with regularity that becomes a little frustrating if you’re driving fast. 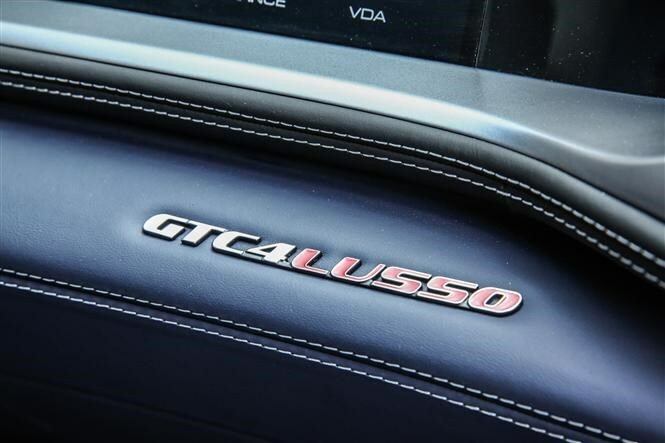 But does the GTC4Lusso corner like a sports car? 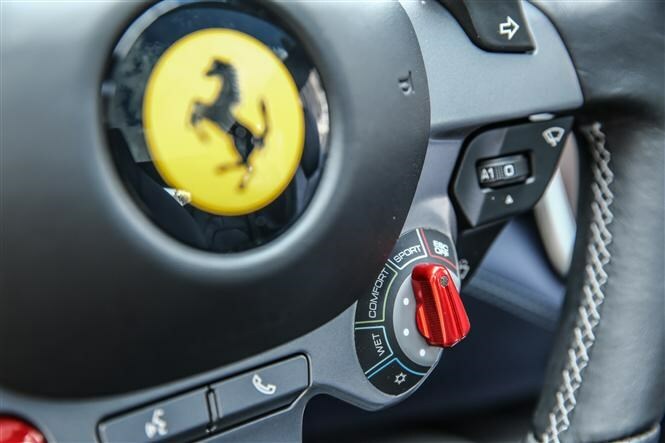 Its handling is also perhaps a little less exciting than you’d expect from a Ferrari, but better to live with day-to-day. It’s beautifully balanced and the steering is first-rate at any speed, but if you drive quickly and use the engine to its full potential in Sport mode you’ll find a curious corruption at the limits of grip that wasn’t there in the FF. Find out more about this in the Driving section of the review. 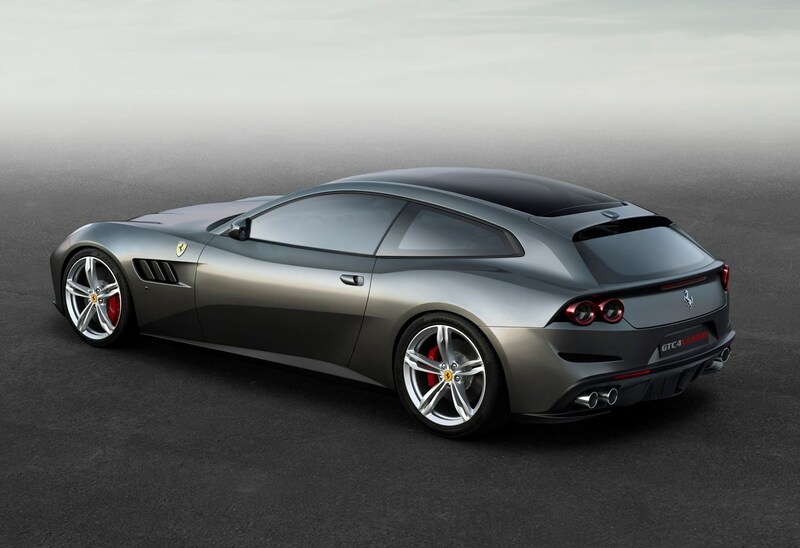 The GTC4Lusso is still a stunning car to look at, be in and drive in almost every circumstance. It’s the most practical car the firm builds, has genuine go-almost-anywhere capability and features more of the technology becoming increasingly crucial to modern car buyers. Deliveries for this intriguing replacement for the FF begin around December 2016 or January 2017, with prices starting at £240,430 before you delve into the traditionally vast optional extras list. You can expect a waiting time of at least 12 months after you’ve placed your order. 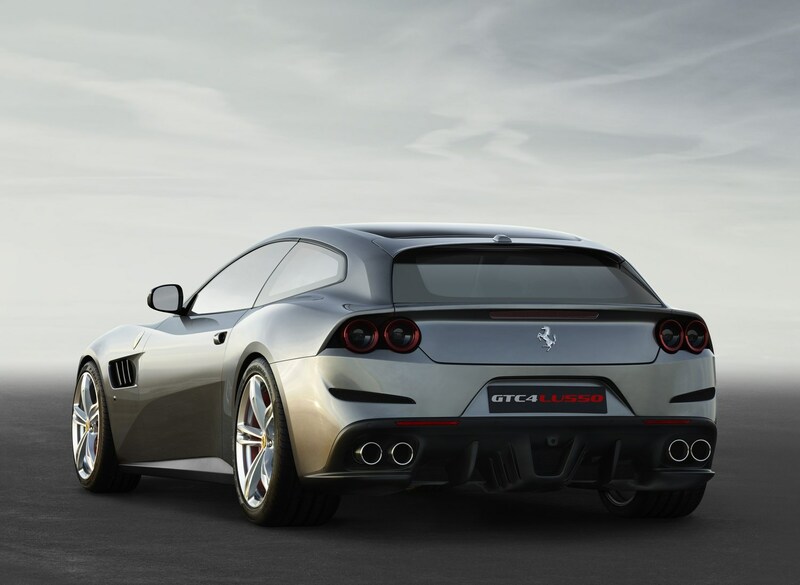 To find out more, read on for our comprehensive warts-and-all Ferrari GTC4Lusso review.